We are fast approaching our first RIG of the season on Veteran’s Day, Friday, Nov. 11, from 3-5 p.m. We’ll be hearing about ongoing projects from Dr. Alex Dracobly, who’ll be speaking about the UO Veterans Oral History Project, and Rachel Rochester, who’ll be discussing the role of podcasts like We’re Alive in environmental activism. Light refreshments will be served. We’ll be meeting in HEDCO 146, and we hope to see you there! For this week’s blog post, I reached out to Professor David Vampola for his perspective on the Digital Humanities. Vampola teaches in the Department of Computer Science as well as in the Cognitive Science, Information Science, Integrated Media, and Human-Computer Interaction programs at State University of New York at Oswego (SUNY-Oswego). He has given presentations (partial list) at Boston University, Centre national de la recherche scientifique (CNRS), École normale supérieure, University of Osnabrück, Leo Baack Institute, New York Academy of Sciences, and the American Association for Higher Education, as well as at a number of international conferences. His publications have ranged over topics from the conceptual foundations of science to the statistical analysis of the health professions. At present, he is developing a program in Digital Humanities at SUNY- Oswego. 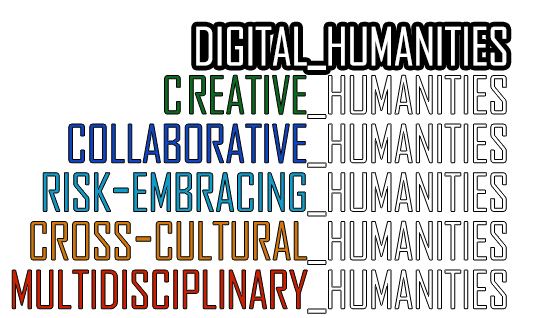 Housed in the Computer Science department, Vampola is a relatively rare case, as the impetus for most Digital Humanities programs comes from humanists. When I set out to interview him, I wanted to get at the heart of his interest in the Digital Humanities, but over the course of our conversation we arrived at something closer to the driving mechanism for DH itself. Understanding the motivation to bridge the gap between the sciences and the humanities is an important step in ensuring the success of DH in arenas of higher learning. Vampola writes: “There is a kind of developmental cycle that most disciplines experience as they become part of what is taught at establishments of higher learning. First, there is a period during which an inchoate field is defined by both its proponents and its antagonists. 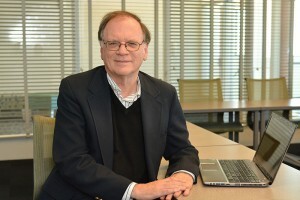 Second, once the attributes and range of a discipline have been agreed upon, it can start the process of being institutionalized as a recognized course of study within the university.” In developing DH programming at SUNY-Oswego, Vampola realized that some resistance from faculty came from confusion about the definition and goals of Digital Humanities. 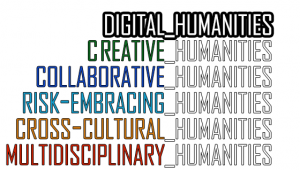 Part of the job of the Digital Humanist, then, is to educate faculty and students alike about the scope and benefits of DH research. For Vampola, DH relates to novelist C. P. Snow’s enduringly famous Rede Lecture, “The Two Cultures and the Scientific Revolution,” delivered in 1959. 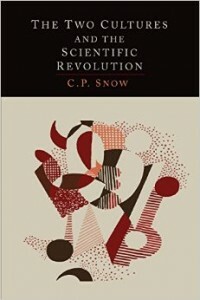 Snow cautioned against a widening chasm between scientists and so-called “literary intellectuals.” Vampola notes that “Although the original lecture’s stark division between the cultures of the sciences and the humanities was later modified a bit by Snow himself (as well as by a number of later commentators) the divide between these two domains seems clear for many thinkers. Yet, it is irresistible to try to unify knowledge and provide a kind of bridge between the two realms.” The Digital Humanities are one outcome of the desire to heal a perceived rift between the sciences and the humanities. In October, I sat down with Dr. Stephen Fickas, a professor in the University of Oregon Computer Science Department, to talk about some of these same questions. I wanted to develop my understanding of how people outside of the humanities viewed projects like DH. Ultimately, both Fickas and Vampola concluded that DH has the potential to drive innovative research in both the sciences and the humanities, but carving out the space for mutually beneficial collaborations is an enduring challenge. My conversations with both professors have led me to believe that if we want DH to thrive at UO, we need to think about how multidisciplinary projects can contribute to a body of knowledge beyond the scope of either the arts or the sciences independently. It’s a thrilling challenge. Thanks so much to Professor Vampola for taking the time to share his thoughts about the Digital Humanities. As always, we’d love to hear from you in the comments.